The first Legnano that began the collection, a 1960 Mod.50 Gran Sport ‘Condorino’, came to me from Allesandro Nati of Arvello, Italy. Many bikes and years later another original Mod.50 from Allesandro arrived in May 2017. So why another? If there was a logical answer to the question I must admit to not having it. 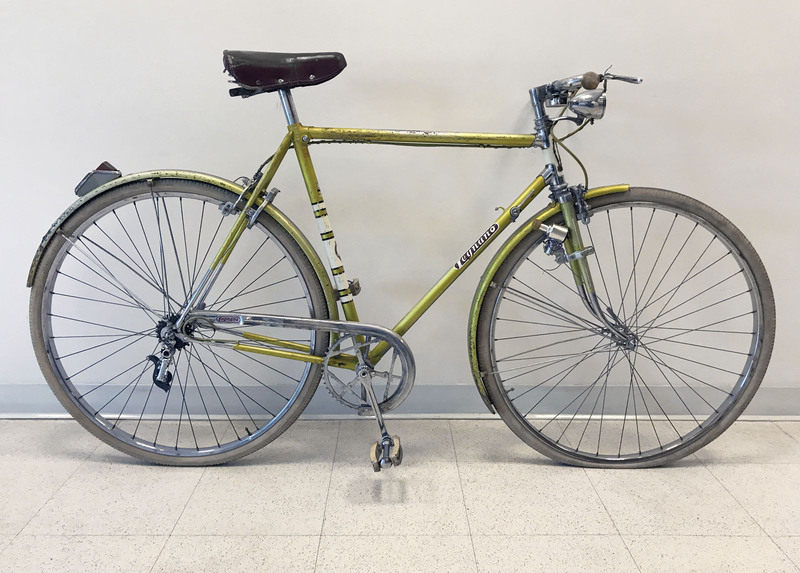 However the first Mod.50 from Allesandro was in desperate need of a full restoration and in the process it was converted to a Mod.53 with drop style Ambrosia bars and stem. I have had the odd second thought with that restoration so perhaps this Mod.50 was a way to correct whatever lingering guilt was in my mind. In addition, this is also the oldest Mod.50 Condorino that I have come across in my travels and it may well be the beginnings of this model for Legnano. 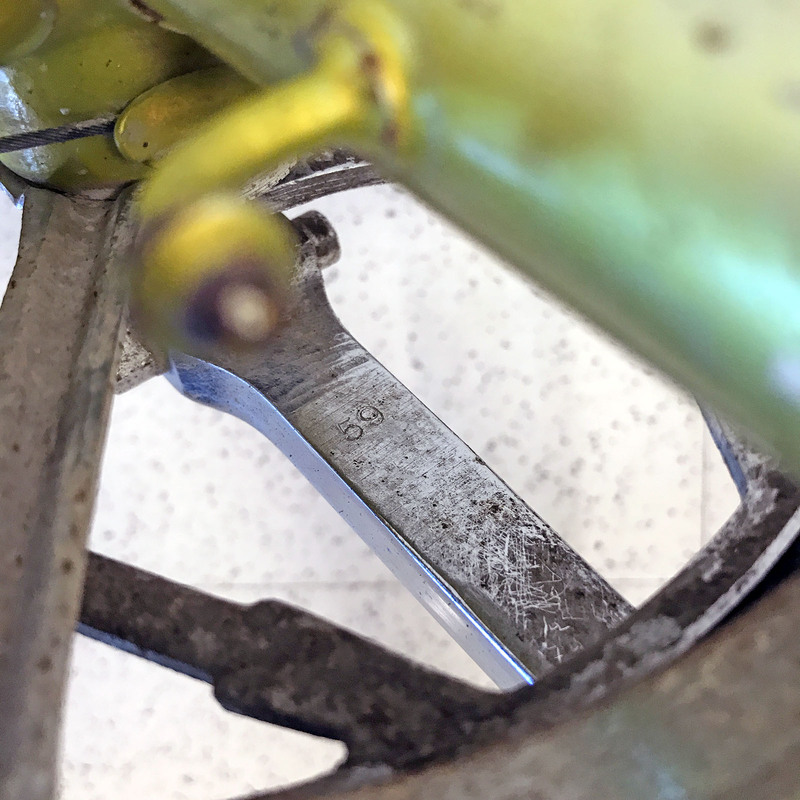 This Legnano is dated to 1959 based on the serial number (EL7181) and the ’59’ date stampings on both of the Magistroni crank arms. Everything is factory original to this Mod.50 Condorino with the exception of the rear fender light that must have been replaced at some point in time, mostly likely due to damage or wear. 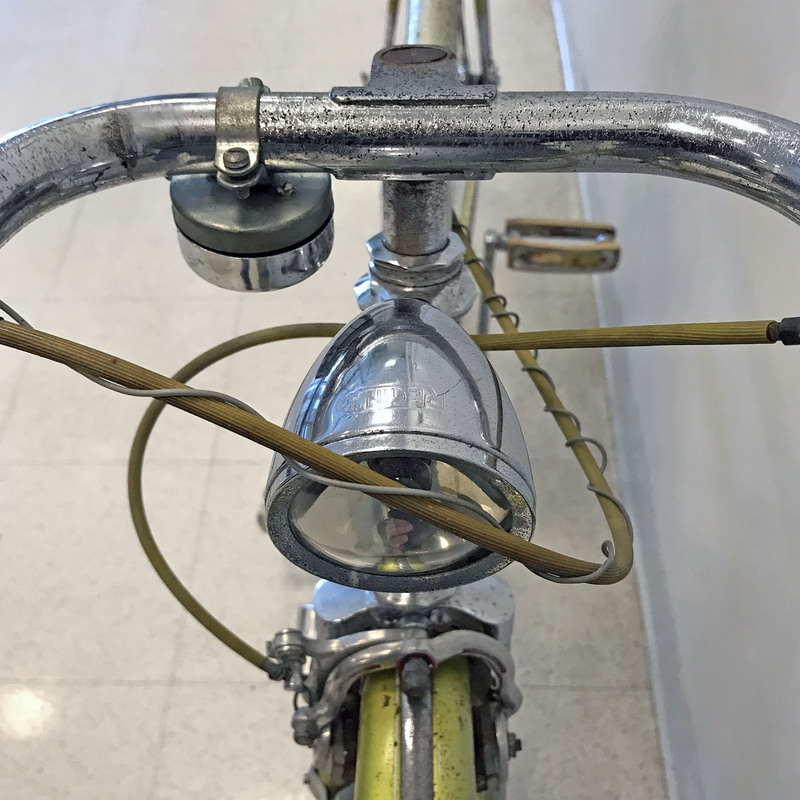 And the Legnano brass emblem that covers the opening in the top of the handlebar post is missing. However both of these original components are in the part bins so it will be an easy correction to put those minor details right. 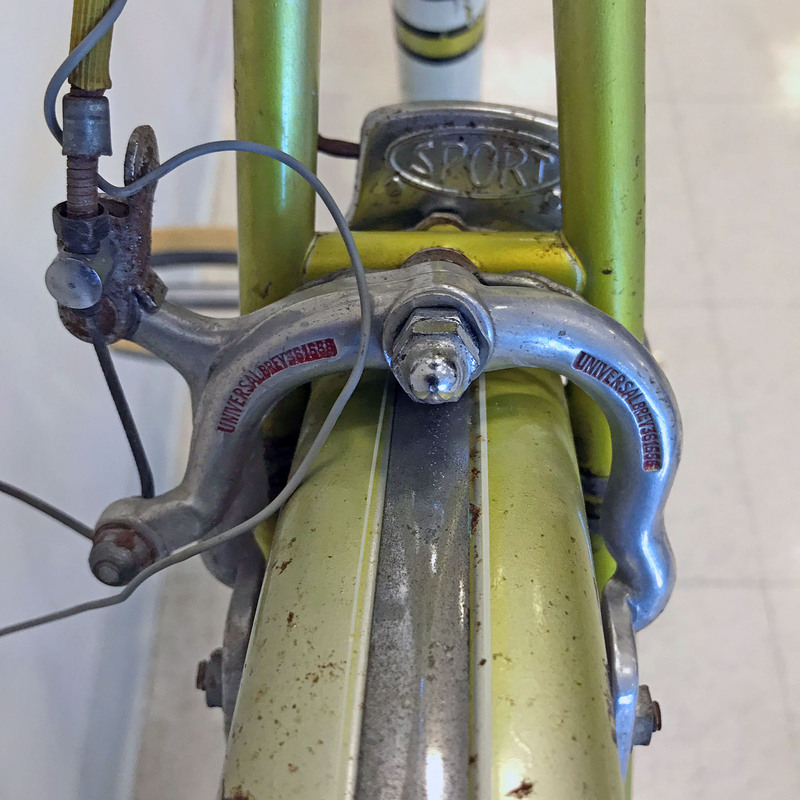 And while the paint finish is showing some good wear from the past 57+ years, I am not planning a respray for this bike. 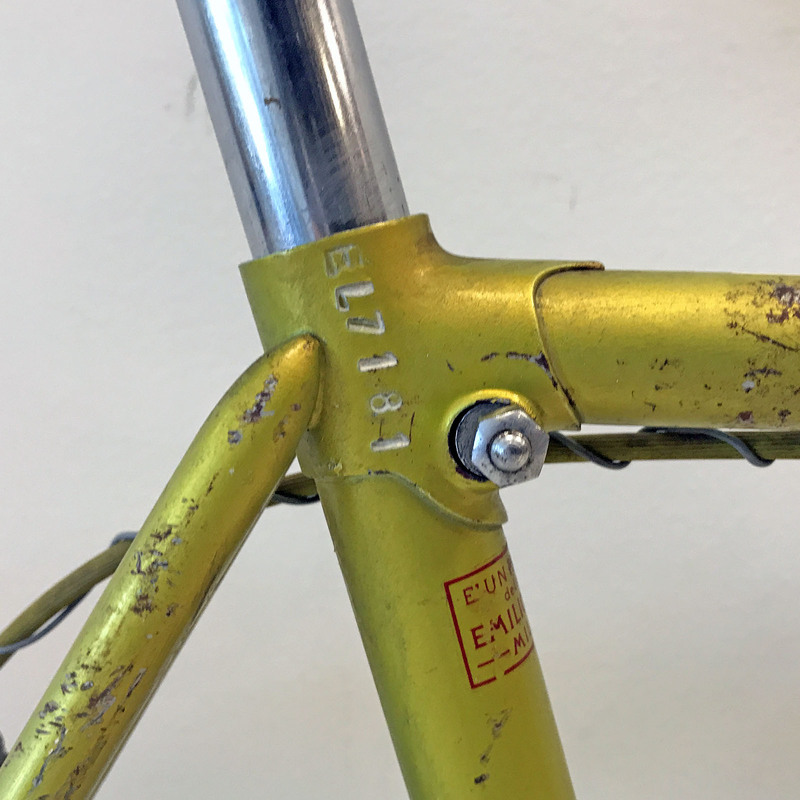 Actually I have come to a point in the collection where I prefer to maintain the original frame finish aside from a careful cleaning and waxing. more to come as I get into a light restoration.